A highly accomplished trial lawyer, Ms. Apps joins Milbank from the U.S. Attorney’s Office for the Southern District of New York, Criminal Division, where she was a member of the Securities and Commodities Fraud Task Force. 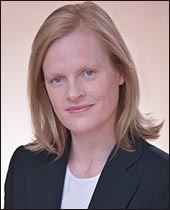 During her tenure, she prosecuted many of the government’s most important insider trading cases against prominent hedge funds and expert networks. Ms. Apps was a lead prosecutor on the Justice Department’s prosecution of the hedge fund S.A.C. Capital Advisors, L.P., which culminated in a guilty plea by S.A.C., along with criminal and civil penalties totaling $1.8 billion. Ms. Apps also tried the government’s case against S.A.C. portfolio manager Michael Steinberg, which resulted in his conviction on all counts by a jury. Earlier this year, George Canellos returned to Milbank as head of its litigation practice following nearly five years at the U.S. Securities and Exchange Commission, where he served as co-director of the SEC’s enforcement division and director of the New York Regional Office. Mr. Canellos previously spent nine years at the U.S. Attorney’s Office for the Southern District of New York, serving as Chief of the Office’s Major Crimes Unit and Deputy Chief Appellate Attorney, among other positions. He and Ms. Apps worked with one another on several key insider trading cases that were jointly pursued by the DOJ and SEC during their respective tenures. In addition to Mr. Canellos, Ms. Apps joins three other alumni of the U.S. Attorney’s Office within Milbank’s litigation group — Milbank Chair Scott Edelman and litigation partners Thomas Arena and James Cavoli. Milbank, Tweed, Hadley & McCloy is a leading international law firm that has been providing innovative legal solutions to clients throughout the world for more than 145 years. Milbank is headquartered in New York and has offices in Beijing, Frankfurt, Hong Kong, London, Los Angeles, Munich, São Paulo, Singapore, Tokyo and Washington, DC. The firm’s lawyers provide a full range of legal services to the world’s leading commercial, financial and industrial enterprises, as well as to institutions, individuals and governments. Milbank’s lawyers meet the needs of its clients by offering a highly integrated and collaborative range of services across key practice groups throughout its global network. Milbank’s integrated practice is underpinned by its attorneys’ acknowledged technical excellence, sectorial expertise and a strong tradition of innovation and client service.